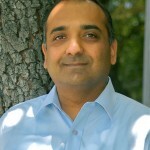 Deepak is Head of Products, and is responsible for the overall product strategy, design and development. He’ completed his MBA at Haas School of Business at UC Berkeley and Columbia University, New York. He also majored in Computer Science for his undergraduate studies at MS University, India. Deepak joined iCharts at a very early stage and was instrumental in customer development. Prior to iCharts, Prior to iCharts, Deepak worked as a Consultant at KPMG/BearingPoint and Capgemini.